Last weekend I used the last of a jar of artificial sweetener that we’ve had in the cupboard for what seems like forever. We only use it when my Dad comes around as it’s the only thing he likes in his tea. 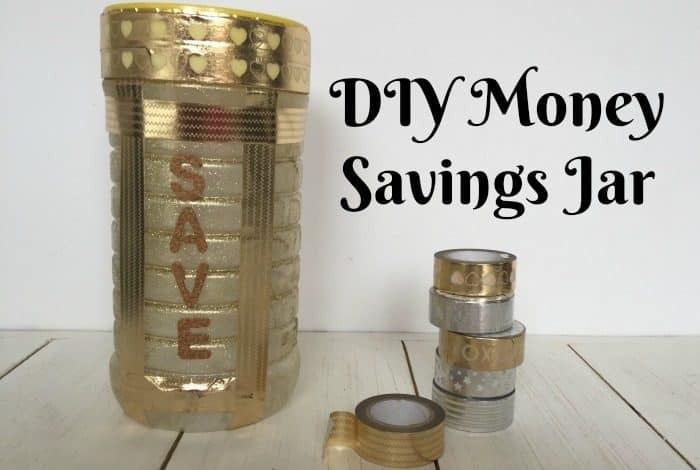 The tub was a clear plastic jar with grooves around the edges and a bright yellow lid and I decided to try and upcycle it into a DIY money savings jar. I had some leftover gold glittery spray paint so I took the jar outside and gave it a quick spray with the spray paint. 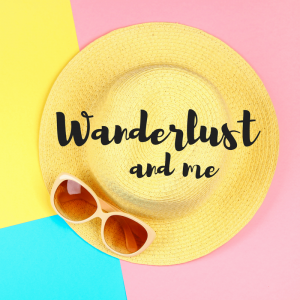 I wouldn’t go out and buy some spray paint if you don’t already have any in because you can jazz up your container just as nicely with just some pretty washi tape. I had some cork letters in my crafty bag so I spelled out the word ‘SAVE’ on there too. 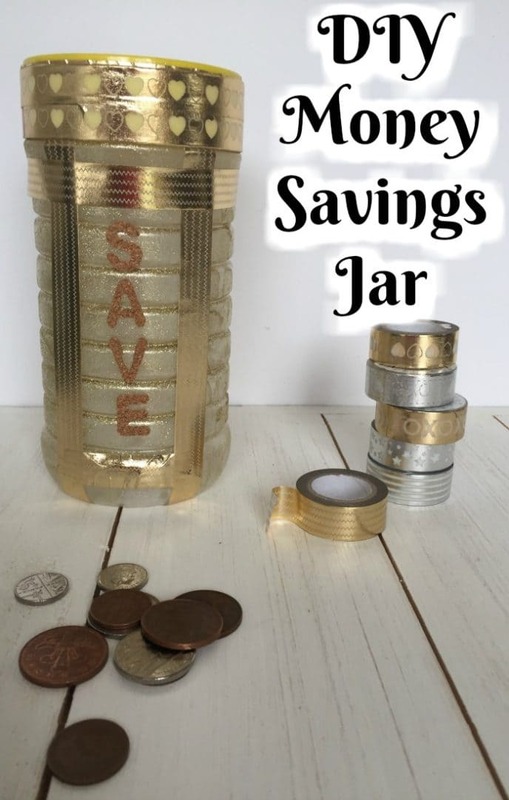 I could have put a hole in the top to put the coins through because the lid itself is quite thin plastic but I decided not to. It’s easy enough just to unscrew the lid when we want to put some money in and it looks so much neater. I love the way I can see the money building up as the spray paint isn’t a solid block of colour so I can see through it. 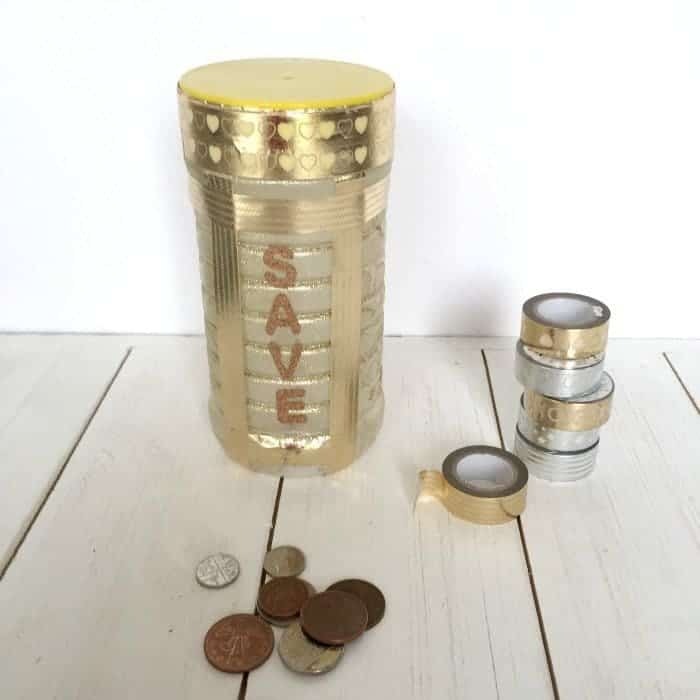 It’s not the most professional looking money box but it looks good enough for me and it’s definitely going to help me with saving up as I have a few challenges that I’ve set for myself in the coming months! Seven ways to say Sorry….